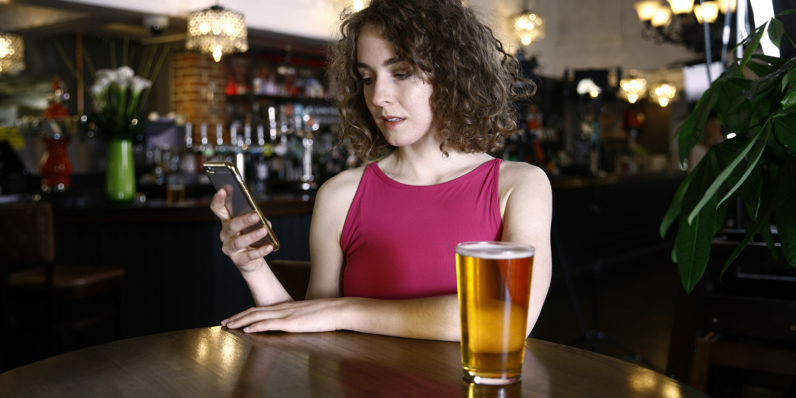 A mobile payment system wants to stop you from making regrettable purchases while drunk. DrnkPay, an app developed by financial consultants iBE TSE, connects to your credit card and pumps the brakes on that rubber horse mask purchase you just had to make after seeing it on a ‘hilarious’ YouTube video. Horse masks are so 2016, bruh. Now, before a night out, you tell the app how many drinks they plan to have and wait as it converts these to units of alcohol. After each drink purchase, you blow into a breathalyzer (or a wrist band if you don’t want to look like a recent parolee) and the unit measures alcohol diffusion through the skin against the amount of booze you told the app you planned on having. From there, you have a sort of scorecard for just how drunk you are. Once you’ve hit your self-imposed limit, the app will lock your card and prevent you making further payments. It’s up to you whether to block all payments, or just certain ‘weak points’, such as takeaways, clubs, or that flight that seems like such a great idea at 4am. Currently, the app makers are shopping the product to banks to see if it’s something they’d want to offer to customers for free.